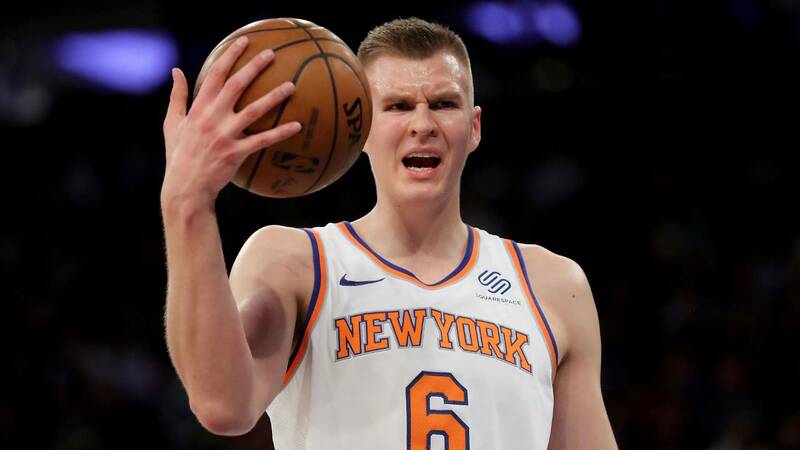 New York Knicks All-Star forward Kristaps Porzingis suffered a torn ACL in his left knee, the team announced Tuesday night. Porzingis was injured in the second quarter of the Knicks' 103-89 home loss to the Milwaukee Bucks on Tuesday. Porzingis landed awkwardly after a dunk, hitting the floor and immediately clutching his knee. He was helped off the court and taken for an MRI exam that revealed his injury. The 22-year-old leads the Knicks in scoring with 22.7 points per game and leads the NBA in blocks with 2.4 per game. He was selected last month for his first All-Star appearance. ESPN reported that, as of Tuesday night, surgery for Porzingis hadn't been scheduled yet, but that he's likely to miss at least 10 months once a timetable is set for his recovery. The injury also represents the fourth loss for the LeBron James' squad in the upcoming NBA All-Star Game, which previously lost DeMarcus Cousins, John Wall and Kevin Love to injuries. Paul George, Andre Drummond and Goran Dragic have been announced so far as injury replacements for Team LeBron in the Feb. 18 game.